1 YRS Chengdu Zeyao Science and Technology Co., Ltd.
6 YRS NiceRF Wireless (Shenzhen) Technology Co., Ltd.
6 YRS Vitalwell Electronics (Zhuhai) Pte. 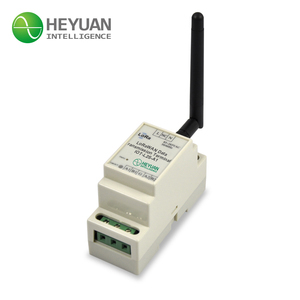 Ltd.
Heyuan RF LoRa Module for IoT, Wireless Meter Reading, Smart City, Smart Homes etc. 2 YRS Heyuan Intelligence Technology Co., Ltd.
4 YRS Chengdu Wattsine Electronic Technology Co., Ltd.
14 YRS Shenzhen Friendcom Technology Development Co., Ltd.
9 YRS Shenzhen Tojoin Communication Technology Co., Ltd.
4 YRS Beijing Sagetown Technologies Co., Ltd.
when we got your advance payment (deposit) we will arrange the production and delivery. if you don't have ship forwarder, then when the goods arrived at Destination port, you just need to find a ship forwarder help you clear the custom. If big quantity we will ship by Ocean transportation, it takes about one and half month to arrive. 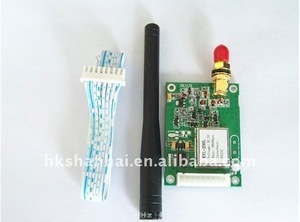 5 YRS Shenzhen HAC Telecom Technology Co., Ltd.
Heyuan RF LoRa Wireless Module, Long Range 8KM, Low Power<1W, used for Wireless Meter Reading, Smart City, Smart Homes etc. The LoRa Data Transmission Modules, Model IOT-L2S-B1&B2 , are universal communication interactive equipment designed and manufactured based on LoRa RF chip. 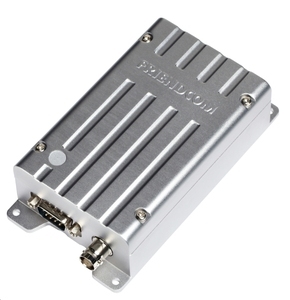 The module integrates two interfaces of industrial standard RS485 and supports a variety of protocols to realize the data transmission between wired and wireless devices. They are widely applied in fields of IoT, wireless meter reading, smart home, smart city, fire safety, industrial manufacturing, agriculture and forestry monitoring, building energy saving etc. 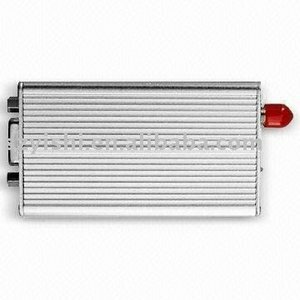 They can be used in a variety of data communications applications that require a simple to use invisible data link. was established in the year 2005. 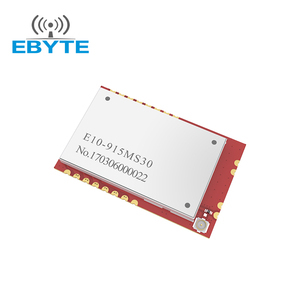 We are dedicated to the development, design, production and sales of ultra low-power, short-range wireless connectivity. Furthermore, we have our own core technology in the field of wireless data communication, and we can provide directly highly integrated solution for the needs of your product. 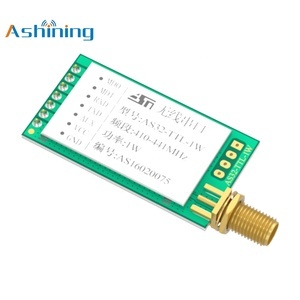 Alibaba.com offers 579 1w rf module products. About 33% of these are wireless networking equipment, 16% are other electronic components, and 1% are radio & tv broadcasting equipment. A wide variety of 1w rf module options are available to you, such as led modules, logic ics, and drive ic. You can also choose from free samples. 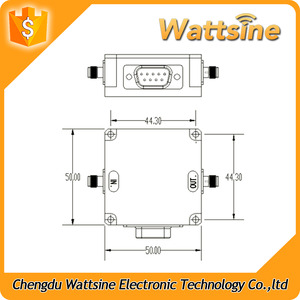 There are 579 1w rf module suppliers, mainly located in Asia. 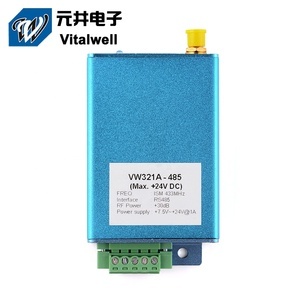 The top supplying country is China (Mainland), which supply 100% of 1w rf module respectively. 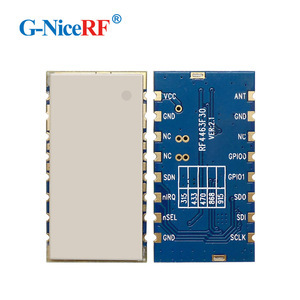 w rf module products are most popular in North America, Eastern Europe, and Domestic Market. 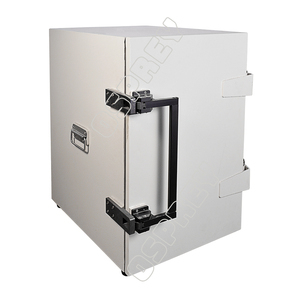 You can ensure product safety by selecting from certified suppliers, including 221 with ISO9001, 173 with ISO14001, and 70 with OHSAS18001 certification.